Which darts do I need with length and thread? 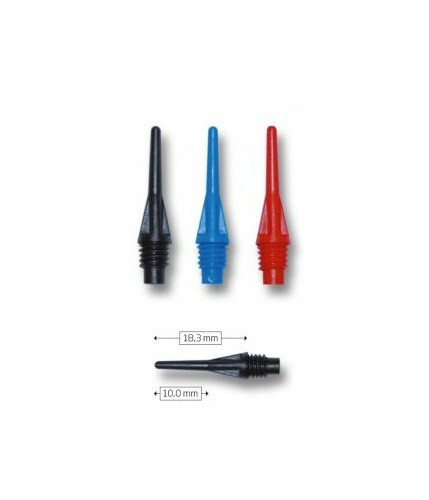 Darts are available in different lengths and thread sizes. 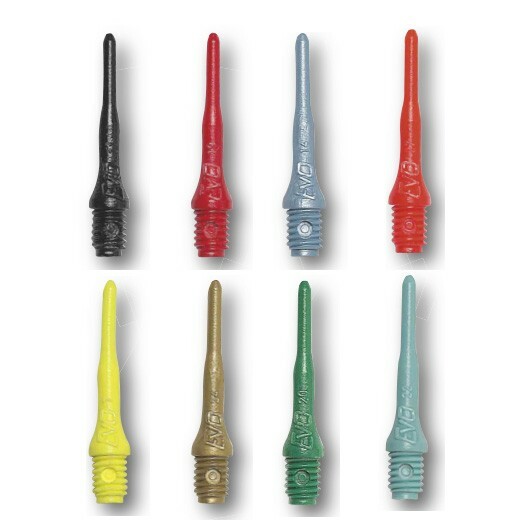 An important quality feature in the buying of dart tips is the plastic used and the degree of elasticity. 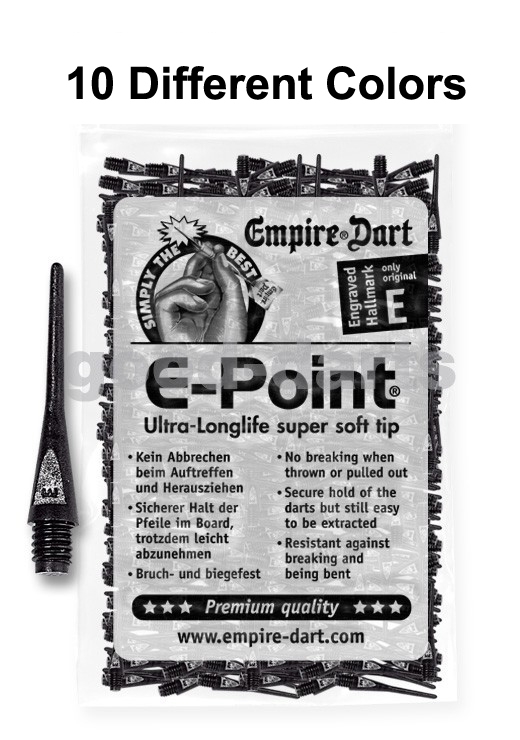 The perfect mix made of hard plastic and soft materials features good darts. Which dart tips you select , therefore determines the durability of the dartboard and its behavior in the dartboard. Bang in! - and sits. And almost always without breaking off. The tips of a dart are subject to heavy loads during throwing and especially when hitting the dartboard. Not infrequently, the tips are used quickly or even take damage. For this reason, dart tips can and should be exchanged regularly. Which darts are there with soft dart and what are the differences? Dart tips on soft dart differ mainly in thread and length. 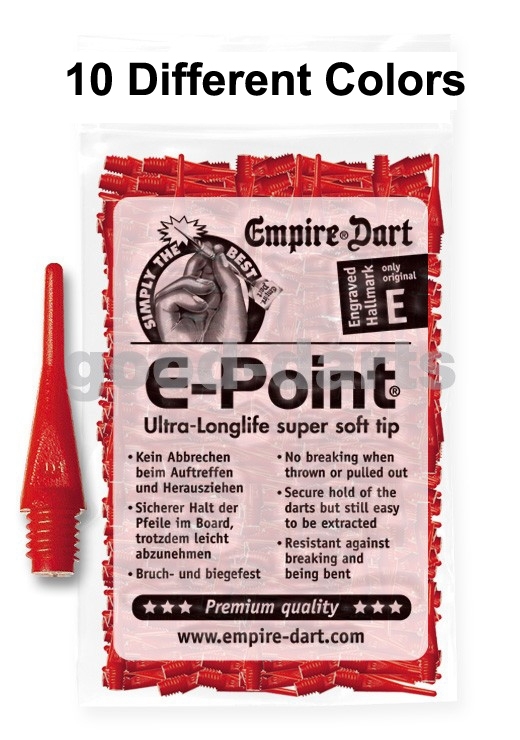 As a rule, the tips for soft dart darts have an external thread and are received by an internal thread in the barrel. This requires, in particular with the 1/4 "thread, a correspondingly thick barrel, so that the wall of the internal thread is strong enough not to be damaged in the event of a fall to the ground. 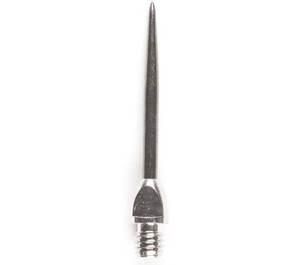 A 2ba thread can be found on slender darts.The dart 1/4, on the other hand, is used for heavier darts. Their focus is usually further towards the top. 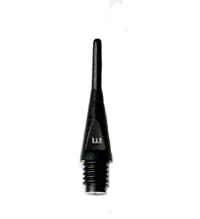 The M3 thread is used with female tipped dart tips and enables the production of very slim barrels. 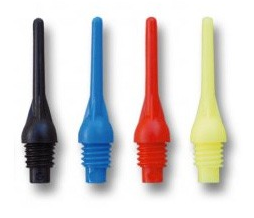 This Darts tips with 2ba thread you are most likely to encounter today and especially in tournament sports. They enable a slim barrel that does not take up so much space on the dartboard and feels better in the hand than the thick 1/4 thread barrels. The center of gravity of a dart with such a tip is much farther back than that of the darts with the thicker 1/4 "thread, making the dart's flight more stable Hit rate of your efforts - depending on the exercise and other factors - higher. 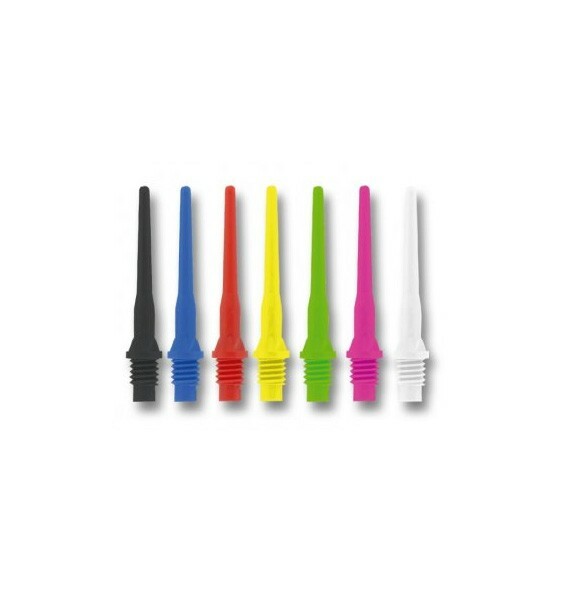 The 8 mm thread is the original standard thread size for soft dart tips. 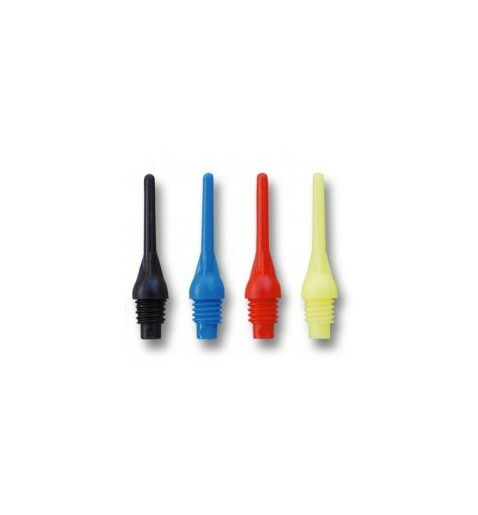 However, as the barrels are relatively heavy and above all have a larger diameter, the tip of the tine with this thread is on the back march and is gradually being replaced by the 6 mm thread. Examples of darts with 1/4 "are 8mm Super Keypoint Tips and 8mm bull-s-ballpoint tips The arrow's far center of gravity can cause unstable flying patterns. When the tipping thread is tapped as an internal thread, this has the advantage that the barrel can be much slimmer. This is what the M3 Darts manufacturer has done well and therefore has the darts the slimmest barrels on the market. Regardless of the size of the thread, there are also differences in length for darts. We distinguish the tips in long tips and short tips. 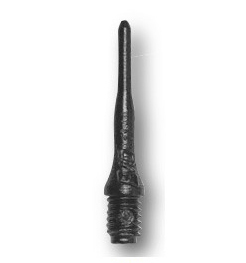 Experienced players often resort to longer-dart darts. The darts have a more stable flight. They do not react so much to technical mistakes of the player. It can be more common for a dart with a long tip to not get stuck in the board if the angle of impact and speed are not ideal. In addition, longer peaks break more frequently than shorter peaks. WARNING: Are the newcomers or beginners? We recommend you to get started with short tips. Darts with short points are more sensitive to throwing errors than a non-optimal flight angle. But they often stay much better on the board. The short-pointed darts are also not that sensitive if they fall to the ground or bounce off the wall next to the dart board.